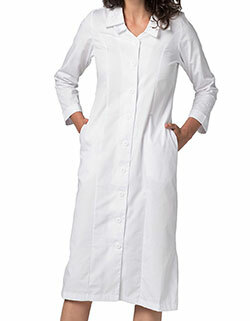 Barco Uniforms features a 33-inches short lab coat for women in a stylish design and affordable price. 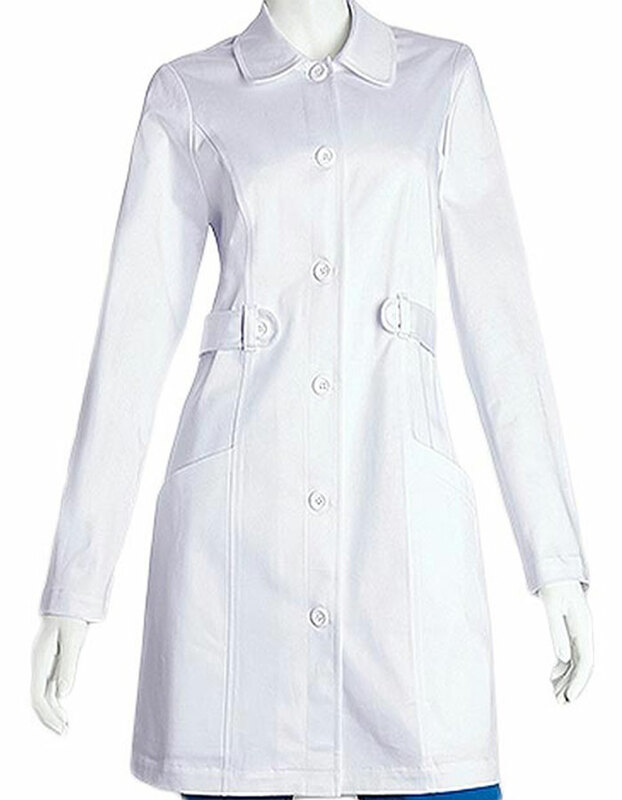 This clearance style is limited and comes with eprformance features.It has shorter rounded collar, button tab sides, and long set-in sleeves. Two roomy diagonal front pockets are provided for storage of handy tools and other belongings. Front princess seams are also added for shaping. Length is 33 inches. Fabric used for this is of cotton, poly stretch fabric.